Year 2013 will have an exciting start for me, I´ll have a solo exhibition Tenses in Kuusamo, my home town in Northern Finland. 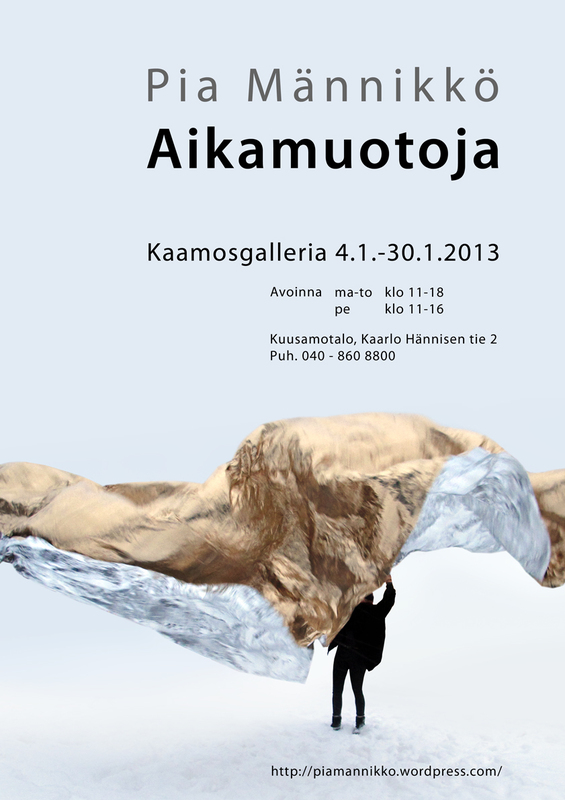 The location is the beautiful Kaamos gallery in Kuusamo Hall. Welcome to the opening on 3rd January at 6pm! This entry was posted in Uncategorized on December 19, 2012 by Pia Männikkö.